Thursday 25 to Saturday 27 April 2017 from 10 a.m. to 6 p.m.
REVA is easily accessible by public transport. For train travel, the regular schedules and prices apply. Depending on the railway station from which wheelchair users start their journey, NMBS requests that you notify the station 3 to 24 hours prior to the departure time of your train and arrive at the station 15 minutes before the train departs. From Gent-Sint-Pieters railway station, take tram no. 1 to Flanders Expo. The tram stop is located 200 metres from hall no. 1. Public transport company De Lijn will be deploying low-floor trams on line no. 1 and will be providing assistance both at the Gent-Sint-Pieters and the Flanders Expo tram stops. The low-floor trams are equipped with one tie-down space for wheelchair users and several non-secured spaces. Unfortunately, mobility scooters cannot be taken on board trams and buses because they cannot be safely secured. However, Mobar will be using Hendriks to take mobility scooters to and from the event venue. People who have a mobility scooter are asked to go to the De Lijn desk, where staff will contact Hendriks to arrange transport. All De Lijn travel passes will be valid on all De Lijn trams and buses during the event, so you will not have to pay extra to travel to Flanders Expo by public transport. 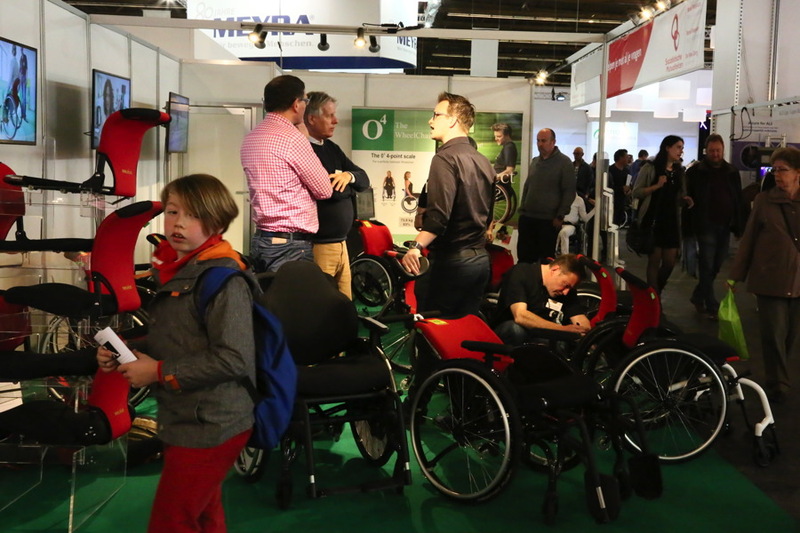 If there are more than a certain number of wheelchair users, De Lijn will provide a (free) bus shuttle service to and from the event venue in partnership with Mobar/Hendriks. 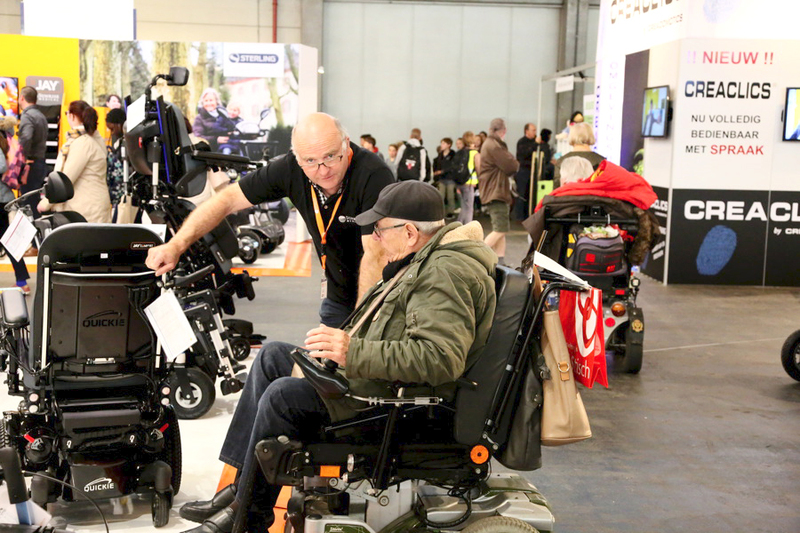 You can also contact Mobar/Hendriks directly to arrange transport between Gent-Sint-Pieters railway station and Flanders Expo, for example if you want to make sure your transport is waiting for you, or if you are planning to visit the event with a large group of wheelchair users. In this case, we kindly ask you to contact Hendriks by telephone at (+32) (0)9 216 80 20. This transport arrangement costs €1.50 per person. For more information on how to reach REVA2019 using De Lijn, have a look at www.delijn.be and www.delijn.be/gent one month before the start of the event. E40 motorway from Brussels or Ostend: take Exit 14. This will bring you to The Loop. E17 motorway from Kortrijk: at the Zwijnaarde junction with the E40 motorway to Ostend, take Exit 14 immediately, signed to R4/Expo: this will bring you to The Loop. E17 from Antwerp: take the Zwijnaarde or Destelbergen exit onto the R4 ring road in the direction of Eeklo. Follow the signs to “Expo – The Loop”. Visitors should take Exit 7 at The Loop to Visitor Car Park B. Are you a visitor with an official disabled person’s parking permit? Take Exit 5 at The Loop to Car Park A. Follow the signs to the car park provided for holders of disabled people’s parking permits. This spacious car park can be used free of charge upon presentation of your permit. Exhibitors take Exit 5 at The Loop to the Car Park A. This car park is accessible only to holders of a valid parking voucher. Tickets to the exhibition cost €5. Free admission tickets are provided to exhibitors, physiotherapists, general practitioners and other primary care providers. Admission tickets can be downloaded from the beginning of 2019 using the link at the bottom of the home page. Some study days are free, while others are not. Pets are not permitted at the exhibition, with the exception of officially recognised and clearly recognisable assistance dogs.